The average price for this game in the past 6 months is $105.59. Lowest historic price was $103.19 on Mar 12, 2019 at Green Man Gaming. The average price for this game in the past 6 months is $87.99. Lowest historic price was $85.99 on Mar 12, 2019 at Green Man Gaming. Pre-ordering The Division 2 gets you 1 free Ubisoft game where you can choose from Watch Dogs 2, Ghost Recon, or Far Cry Primal. Details here. The average price for this game in the past 6 months is $52.99. Lowest historic price was $52.19 on Mar 12, 2019 at Green Man Gaming. The average price for this game in the past 6 months is $18.00. The game first became 50% off on Mar 15, 2017 at Microsoft. Lowest historic price was $18 on Nov 15, 2018 at Microsoft. The average price for this game in the past 6 months is $8.78. The game first became 50% off on Oct 14, 2016 at Green Man Gaming. Lowest historic price was $4.50 on Feb 4, 2019 at Green Man Gaming. A $20 purchase during the Steam Summer sale a few weeks ago, Tom Clancy's The Division is hitting a historic low with a drop to $17 as a GMG Flash Sale. Only about 7 hours left on this deal at the time of writing. 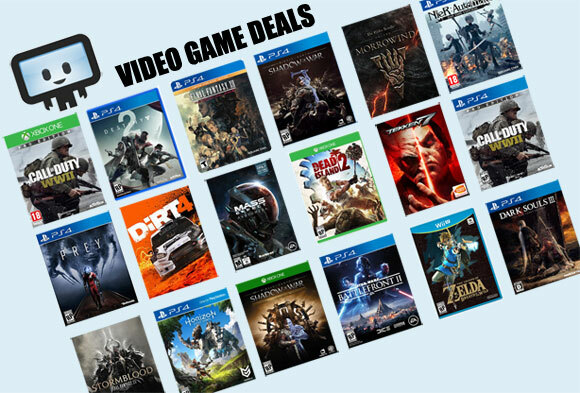 In addition to the best price ever you'll get a random free mystery game. Say what you want about The Division, but at $17.60 this is a not a bad pick-up for a co-op MMO. 20% cheaper than Steam Summer Sale for the Uplay key. The Division is now a $20 game thanks to Steam Summer Sale. With daily deals a thing of the past, you're safe to purchase today or anytime during the sale. Sure end-game content is essentially a grind fest, but we think at $20 its a decent enough co-op MMO. The Division simply doesn't get discounted quite enough. For anyone interested in the game, its currently 36% off during GMG's weekend Ubisoft sale. Good price, though it has been cheaper before. The historic low on Tom Clancy's The Division is back at GMG with a drop to $38.29. To see the full discount you'll need to create or login to your GMG account. Discount valid through Monday Morning at 8AM Pacific. The average price for this game in the past 6 months is $16.56. The game first became 50% off on Jun 23, 2016 at Amazon. Lowest historic price was $8.10 on Feb 4, 2019 at Green Man Gaming. New historic low on The Division Gold Edition for the PC. The Division was one of those highly hyped E3 title from Ubisoft that never quite reached its full promise, but at only $23 for all the content, we think it's worth revisiting for newcomers, particularly those with a gaming group to try the MMO with as content and events are still frequently being produced. Tom Clancy's The Division Gold Edition slashed to $38.08. Historic low price point and about $62 off the original $100 MSRP. Looking to snag Tom Clancy's The Division now that the game is out? One hot deal for the Gold Edition is GMG where their 20% off coupon code cuts the price to $80. Saves you $20 off compared to the $100 Steam and Uplay are charging. Gold Edition includes the base game + Season Pass + early access to the National Guard Gear set. Believe it or not, you can only grab The Division's Gold Edition if you go digital (whether on PC or console) as the physical edition is not yet available as of writing at most retailers (since the bundled Season Pass is obviously not released yet). Grab the edition from GMG and get pre-load plus pre-order bonus, along with the usual nifty 20% off discount.